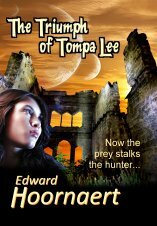 When her man is kidnapped by a Galactic Trading Council assassin, Tompa turns the tables. Now the prey stalks the hunter. Eleven science fiction romances that’ll sweep you away. $25 worth of SF romance books for $0.99 – for a short time only! On the planet, Hathor, Guardian Nadira uses her PSI abilities to investigate a rash of fires and puts her life on the line when she uncovers a conspiracy that threatens to destroy the Guardian organization. After the battle with the Sorcerer Guard–amidst politics, battles, and intrigue, Gala and Blaise discover something far bigger is brewing . . . something that could disturb the balance of the Spell Realm itself. Half-human Alekzander Brede is a law unto himself…or so he thinks; Elektra Tate, the street orphan who loves him has other ideas.